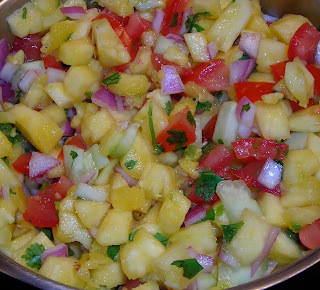 Fresh Pineapple Salsa & Coupon!! Have you seen the new coupon on Coupons.com? UPDATE: I just got back from Smith's and they were $3.99 :( Anyone know where they are cheaper? This might be one worth saving. Here is Kori's Fresh Pineapple Salsa recipe that everyone raves about! Great for 4th of July parties! NOTE: Smith's Rounding Event ends the 29th at Midnight!